As people with extraordinarily elaborate skin-care routines, we pride ourselves on using products with the most effective ingredients around. Of course, this involves actually knowing what those ingredients are. And, boy, are there a lot of ingredients out there. In Know Your Ingredients, our ongoing series, we'll be decoding the many oils, acids, extracts, and more that appear in our favorite products. While there are plenty of fall-centric foods that we're happy to bring out year-round (apples, sweet potatoes, and pears, to name a few), pumpkins tend to get the seasonal shaft. They exist in our brains between September and early December, fill our lattes and pies, and then fade to the back of our brain until the following year. But, it's time to shine the spotlight on pumpkin. It's actually a skin-fighting and hair-helping powerhouse — one that actually rivals coconut oil. According to Aviva, a brand that uses pumpkin seed oil in its hair nutrition system, pumpkin seed oil is rich in vitamin E, zinc, omega 3 and 6 fatty acids, and antioxidants. Put these all together, and you've also got a recipe for a healthy complexion: Antioxidants are known for their ability to fight free radicals, which keeps your skin glowing and healthy, and zinc and vitamin E help improve the tone of your skin and are powerful acne fighters. While there are plenty of skin-care products on the market that contain pumpkin seed oil, the best way to absorb its antioxidant benefits is to ingest it. Luckily, the flesh and seeds of pumpkin are chock-full of the stuff, so swallow away and your skin will thank you. Your hair could also benefit from this oil. Aviva notes that pumpkin seed oil shields the hair protein, hydrates follicles, and ensures shiny strands. So, even though pumpkin may not show up in your pie outside of Turkey Day, you can still use the pure oil in your hair and on your skin every day. When in doubt, though, reach for products that deliver the benefits for you. Pumpkin can be a year-round food — you just have to know how to use it. 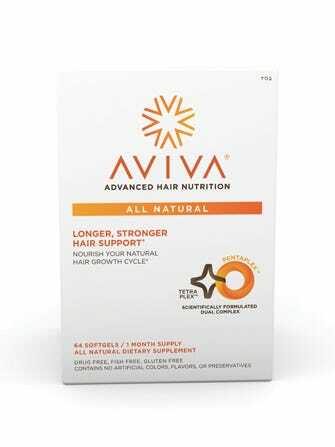 Aviva Advanced Hair Growth System, $59.95, available at Aviva.